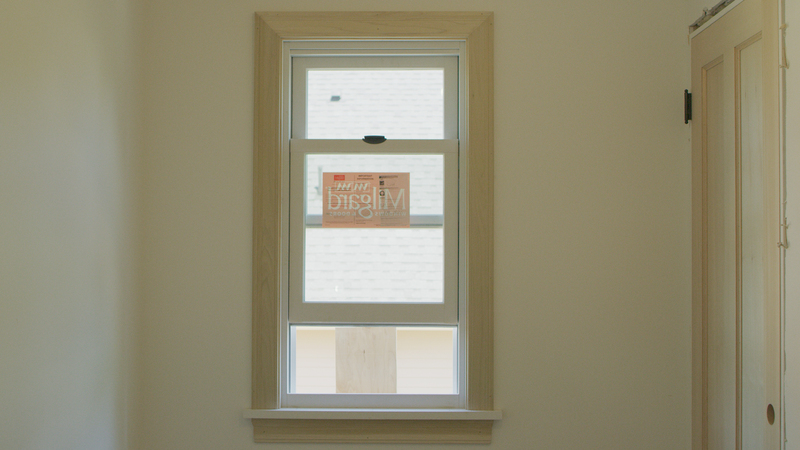 Installing windows in an existing opening is a fairly straightforward practice. Homeowners and contractors have many choices for window replacements that don’t require any reframing of the structure, and in many cases don't even involve the removal of interior or exterior trim when using common retrofit windows. However, I’ve run into many instances where a homeowner wants a window expanded, relocated, or installed in an existing wall where there wasn’t a window previously. Installing a window in these scenarios is a complicated process requiring more experience and knowledge. In this article, I’m endeavoring to provide you with some of my expertise so that it might add to your knowledge, experience, and quality of craft. Before doing any work, consider and verify the following three factors. The most important thing is to identify and understand the framed structure and how it will be affected by the new opening. What are the structural load paths? How does this affect shear strength? How will I support the structure while the wall is being cut out and reframed? These are questions that must be asked and verified first. For instance, a truss supporting wall will generally have much more of a load than a gable end wall, because a gable end wall is essentially a truss supported at either end. The same can be said for walls supporting floor joists (though walls parallel to floor joists may have less of a load). So, it’s well worth the in-field services of an engineer to determine the calculation of the new window header framing, as well as to identify loads and effects on shear walls. Again, this may require the wall be opened up prior to work, in order to confirm certain framing elements. Just like maintaining relationships with your subcontractors or architects, it's advantageous to maintain a relationship with a skilled engineer, simply because it’s easier to schedule their time when you need it. With this in mind, it may be necessary to obtain a permit. Think of hiring a structural engineer as a kind of risk management. It may be the best money you and the homeowner ever spend. 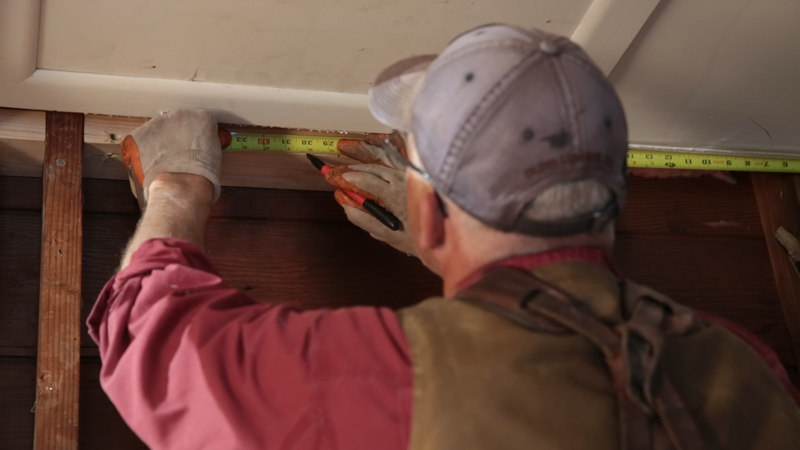 Sometimes, exploratory openings might need to be done before work begins to expose the wall cavity or structure, help verify the conditions, and inform the best approach for your work. Be on the lookout for electrical wiring, plumbing supply or vent lines, ducting, or any number of cavity applications where the new location of the window is supposed to be. If these utilities are present in the wall cavity, they will need to be moved or modified in some way. In this phase, it’s important to have a thorough knowledge about how homes are built. For example, if the new opening is on the opposite side of the home from the bathrooms and kitchen, chances are plumbing might not be a problem (the same is true of electrical and heat ducts). You can tell a lot just by looking around the layout of the house, so again, verify by opening up the wall to be certain. Cutting and reframing a wall cavity for a window can occur by doing the majority of the work from either the exterior or the interior. 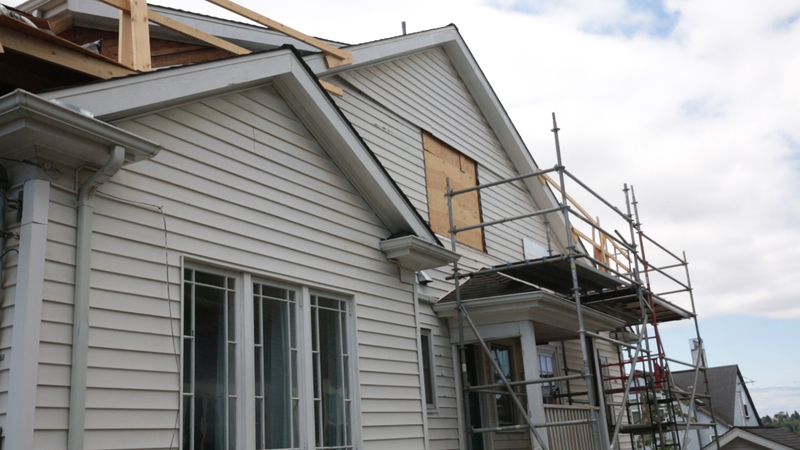 If you're working from the exterior, the drywall may be kept intact until the last minute when the window is cut out. This saves you the trouble of dust control and helps minimize drywall damage and the many steps it takes to mud and sand a wall. On the other hand, a second story home (or complicated siding) may make it advantageous to work from the inside of the building. I've learned one trick that helps whether you're working from the interior or exterior: complete all the framing before cutting the window out of the sheathing or drywall. This technique cuts down on dust inundation caused by the breeze that occurs when you create an opening in the wall. Just like installing a new beam in an existing structure, any load will need to be supported by a temporary support wall while the demolition and new framing is being installed. As you can see in the video, no support is needed when you're working with a gable end wall. In many cases it's necessary to remove the drywall (or exterior substrate) from the upper plate line to lower plate line. Not only does this give access to relocate utilities if it's needed, it also allows you to be able to frame in your king studs and header support studs (or “trimmer studs"). Typically, I like to work from the exterior in this way, as many times, I can reinstall siding faster than the many steps it takes to tape, mud, and sand drywall. 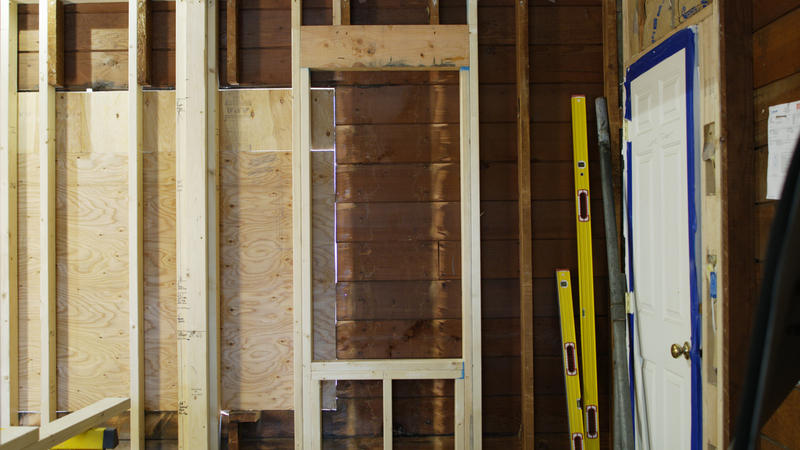 Next, remove all existing stud framing that's in the way of where the new window framing will need to be located. 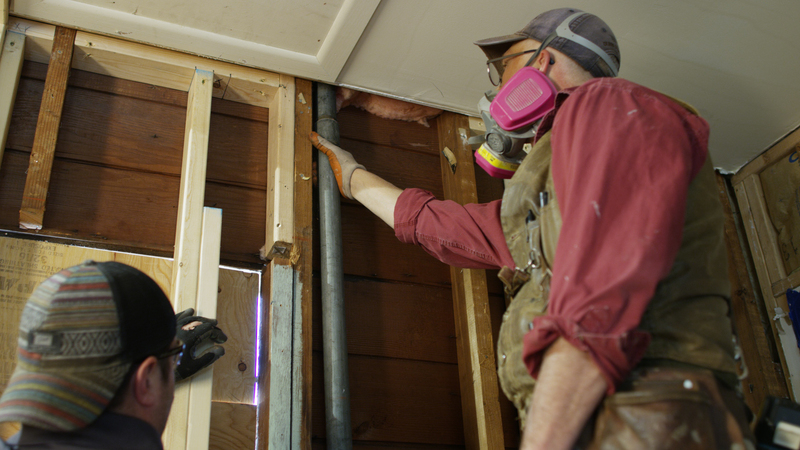 Then, as much as possible, leave the sheathing or drywall in place, depending on which direction you’re working from—this will cut down on breeze and dust. 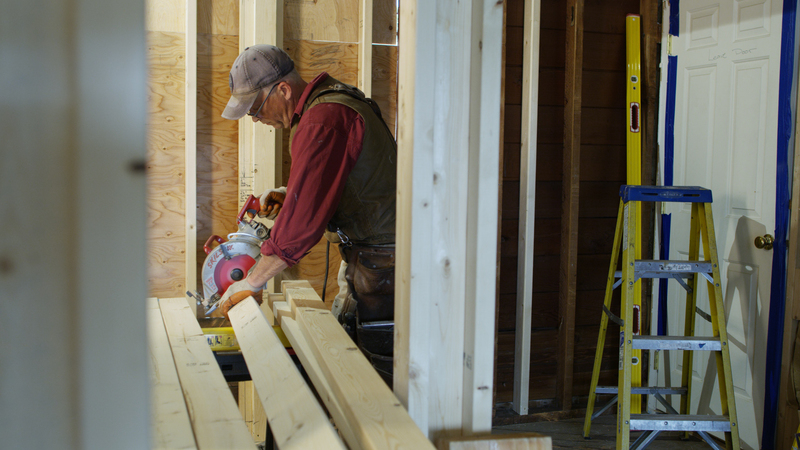 Once the framing is done, cut the sheathing or drywall to exactly the rough opening size using a Sawzall with a long blade. Layout is key at this point. Just like laying out framing on plates in new construction, mark where your king stud, trimmers, cripples, and more will be located. Identify the rough opening of your window and its height. Now measure, cut, and install the king studs first, and secure with nails or screws. Then install the header between the king studs, followed by the header support studs. Now secure everything together. Measure, cut, and install cripples and two sill plates. I like installing two sill plates because I feel it’s more solid. Securing the exterior sheathing can be done with screws, but if no access is available through the siding, I sometimes like to use construction adhesive to help secure everything together. It will make the substrate solid with the studs once it's dry. 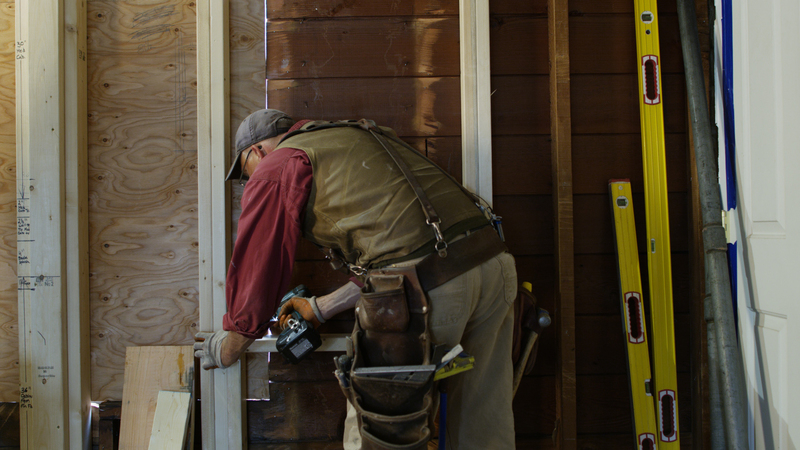 Now that the framing is done, the sheathing or drywall can be cut to exactly the rough opening size using a Sawzall and a long blade. 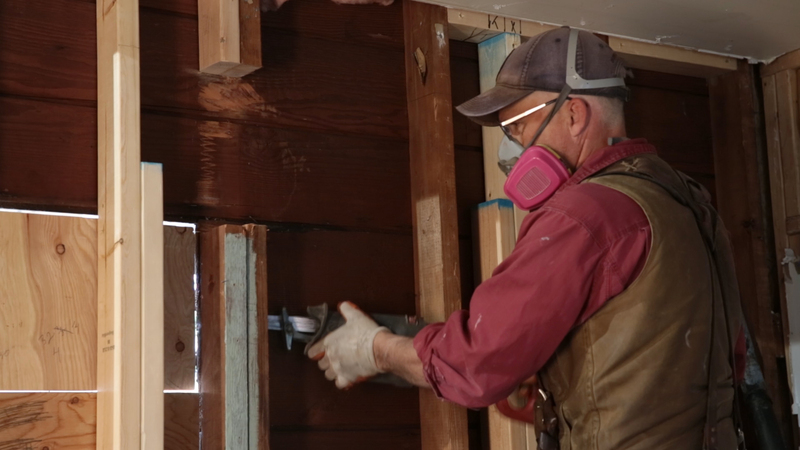 As you can see in the video, we decided to leave the exterior sheathing in place and cut it out later when we were ready to install the window. If I cut it out early, then I’ll just need to turn around and cut a piece of plywood to cover the hole. A project like this is all about thinking efficiently; it’s about minimizing damage to the surrounding structure or substrates, and minimizing structural and utility liabilities. It’s usually more complicated than one might think. Follow the steps and methods listed here and make verifications to ensure a successful project and a happy client. And remember—hiring an engineer may be the best decision you ever make! There are many factors to consider when choosing a deck surface—and some of them are confusing and conflicting. Your appearance preference may lead you towards a highly oiled tropical hardwoods, but your maintenance requirement might point to a composite or PVC. And those are just two of the options to consider! What’s the Difference Between Kiln-dried and Air-dried Western Red Cedar? Learn the differences between kiln-dried cedar and air-dried cedar and the ideal moisture content for each from Paul Mackie of the Western Red Cedar Lumber Association. Work clothing is a reflection of professionalism and an important investment, so we're offering tips to help make your clothing investment worthwhile.